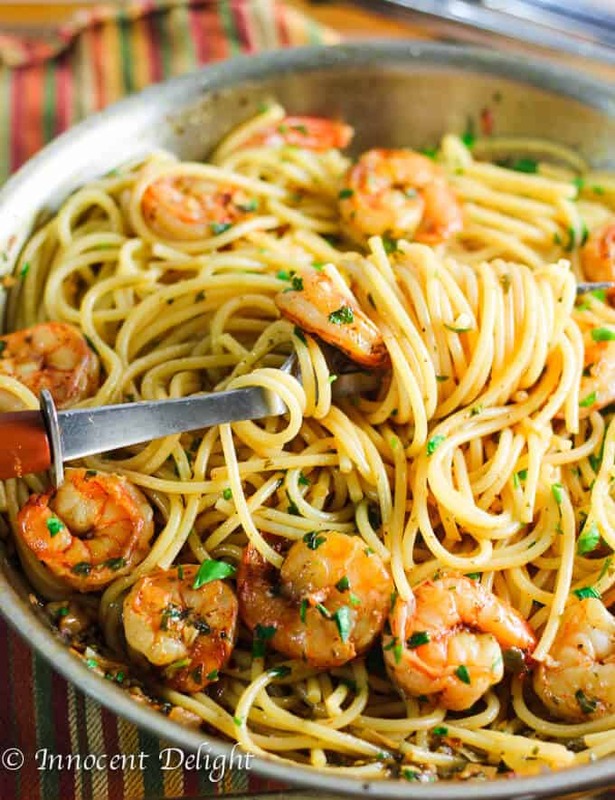 This Easy Shrimp Scampi Spaghetti dish turned out to be one of the easiest, fastest and the most delicious weeknight dinners. My family absolutely loved it. 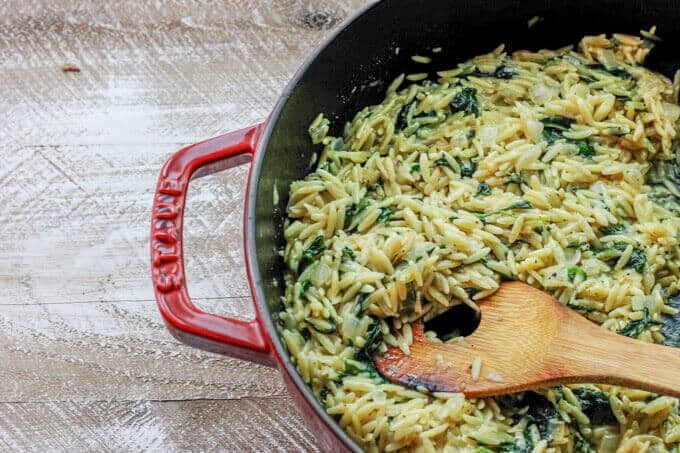 If you are short on time but crave real Italian pasta dish look no further. 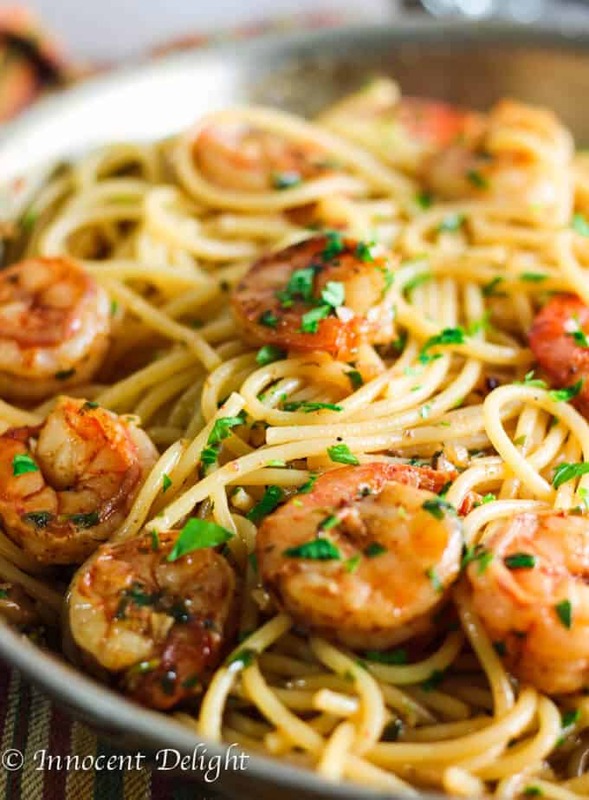 This Shrimp Scampi Spaghetti recipe will not disappoint you. The dinner will be on a table in 20 minutes. Every weekend I make it a point to take a trip to my local Trader Joe’s supermarket to buy ingredients for the next week’s dinners. As I’m sure most of you can attest, it’s not easy to plan ahead for an entire week and then make a shopping list to go along with it. 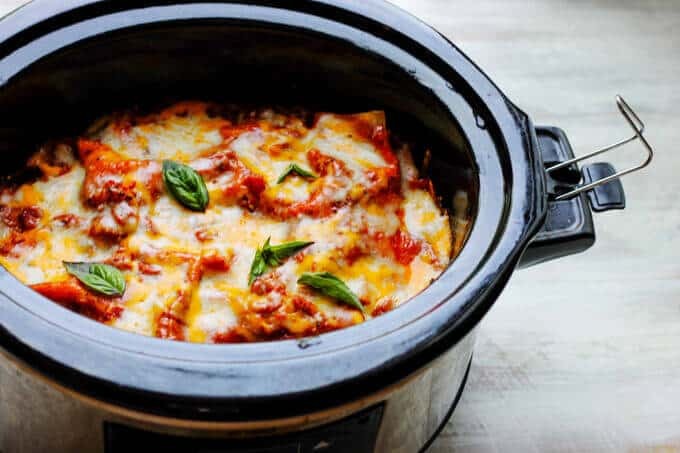 I often ask my husband what he feels we should make for dinner during the week, and sometimes he throws out suggestions that weren’t even crossing my mind. These curve balls of his can sometimes turn out to be brilliant. The other weekend he simply suggested: “Why don’t we have pasta with shrimp?” And I thought…why not. We rarely have shrimp. But we do love them, especially Grilled Shrimp or these Gambas al Ajillo. There was only one “but,” he needed to pick up fresh, cleaned shrimp on Tuesday night on his way home. He replied that this wasn’t a problem. So that Tuesday I sent my husband a text message to remind him to get cleaned shrimp. And let me tell you something, he is so awesome with everything he’s helping me with that sometimes he leaves me speechless. He has absolutely no problem with diverting on his commute home from work in the city and stopping by the local grocery store to get ingredients I may have either missed on my grocery missions or to pick up something that we need fresh. 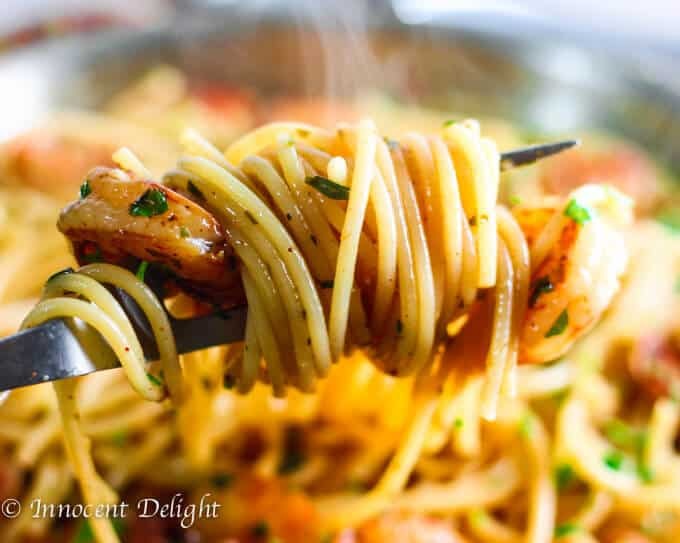 For this dish, I needed the fresh, cleaned shrimp to make this amazing spaghetti. I came home and my husband proudly presented me with the shrimp I’d requested. However, when I looked inside the shopping bag I found cooked shrimp….Bummer. How could I make this delicious pasta for dinner if I have cooked shrimp? My husband looked at me puzzled and said that they look pretty “clean” to him. I needed to explain the difference between cleaned shrimp and cooked shrimp. Thank God it came out amazing; otherwise, his second trip to the supermarket would’ve been totally worthless. 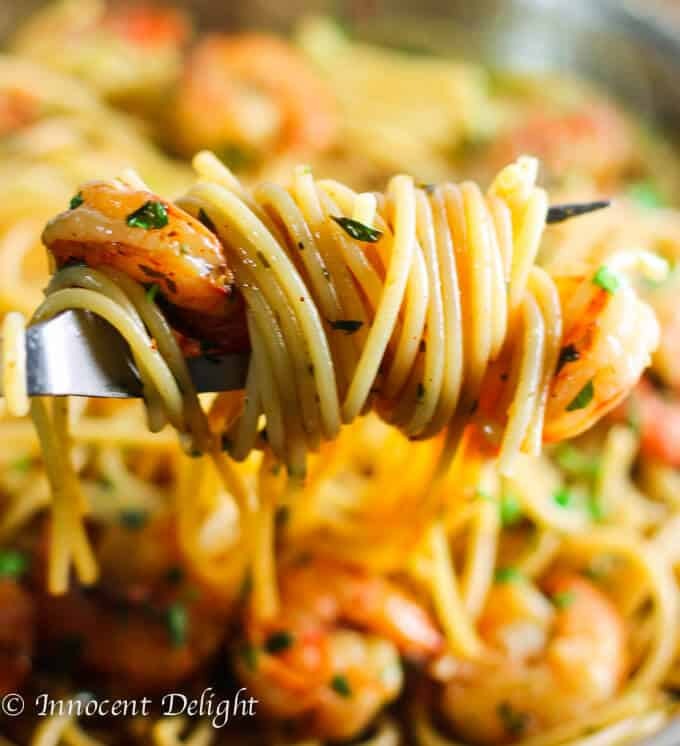 This Easy Shrimp Scampi Spaghetti was so good that as I draft this post, these pictures still taunt me. And it is so easy to make. 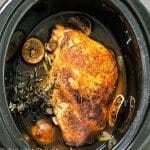 See the printable recipe below for more details. 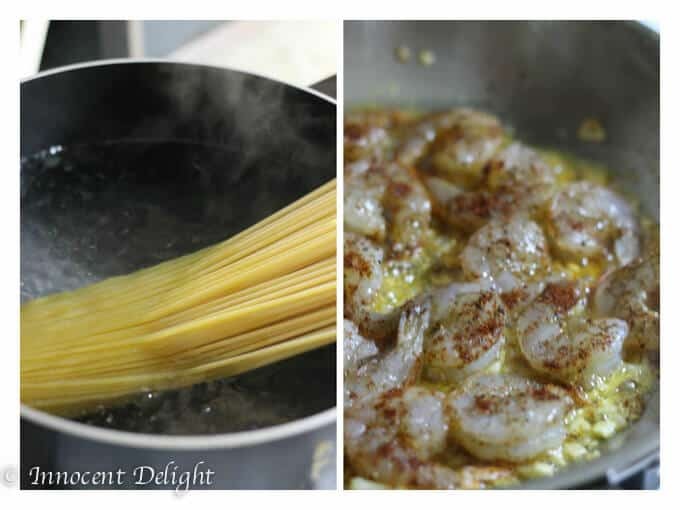 If you have little time during the week and want to have this excellent and easy dinner, then I encourage you to give this Easy Shrimp Scampi Spaghetti a try. 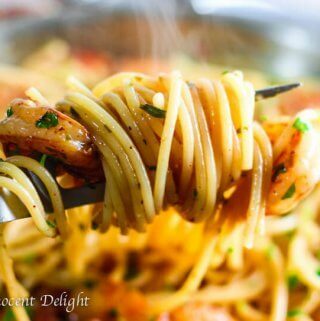 This Easy Shrimp Scampi Spaghetti dish turned out to be one of the easiest, fastest and the most delicious weeknight dinners. Stir everything together and adjust seasoning as desired with salt and pepper. Serve immediately. The recipe calls for spaghetti pasta but you can use any long pasta you have. 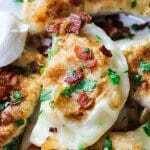 This recipe was originally posted on January 11, 2015, and was since updated to provide additional information. If I don’t have dry white wine can I substitute chicken broth? You can but it’s not going to taste the same. This recipe sounds delicious! I can’t wait to try it. I found your recipe on Pinterest! Thanks for sharing. 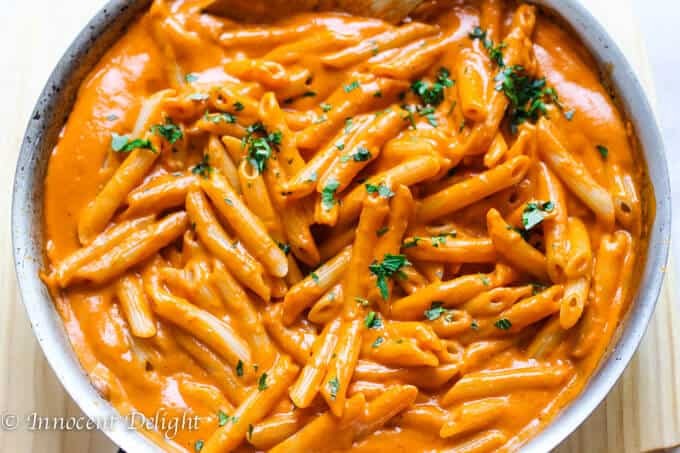 Your sauce sounds so nice and light but still so full of flavor. Such a healthy dinner. 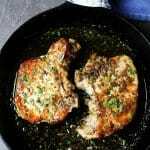 This recipe is totally mouthwatering! I think I know what I’m making for tea tonight! We had a friend that brought cooked shrimp instead of raw shrimp. I said, Hello? Food Blogger? We all got a good laugh and use the cooked shrimp for appetizer! 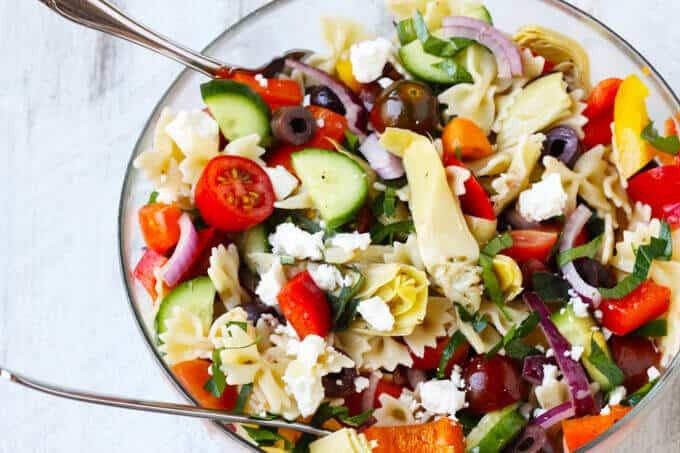 This pasta dish, though certainly required raw shrimp and looks simply divine! I might just make it dinner! Thanks for the inspiration! This reminds me of a prawn linguine dish at my local Italian restaurant. Lovely to see a restaurant quality meal I can make at home!